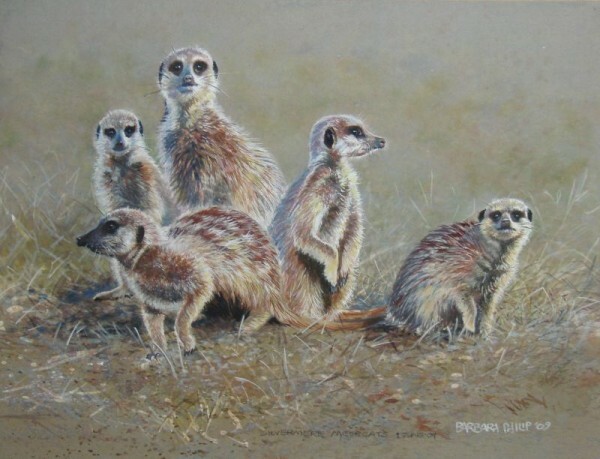 Meercats on grey. Watercolour & Gouache on Grey Canson Pastel paper. 620 x 430 mm. Sold.